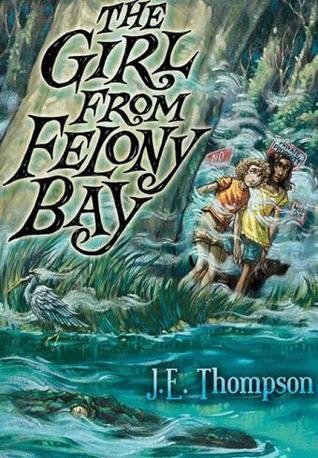 With everything going on in my life right now, I've found myself reading quite a few middle grade novels. They're usually not too deep or full of angst, and are generally a nice little break--without sucking me in for an entire day. However, it's much easier to read the books than to sit down and write a review! So here's an attempt to catch up--on some of them at least! 4 stars: One little girl's transformation from clingy and dependent to strong and capable. Elizabeth Ann lives with her aunt, who has always been very protective of her young charge. In fact, after 9 years of constant hovering and smothering, Elizabeth Ann is fearful of just about everything. When her aunt must send her off to live with relatives in the country, Elizabeth is terrified. She has been told all her life about how awful this family of cousins are and now she must live with them! Right from the beginning, the Putney's expect things of her that have never been expected of her before. Things like thinking for herself, doing chores, and solving problems. By the time her aunt comes to retrieve her at the end of a year, the now resourceful and confident Betsy can see her old life for what it was a bit more clearly, and will have a very hard choice to make. Timeless! This book was published 100 years ago and it still rang true. Another that I want to read with my kids. It could be a parenting manual in some respects. I know I was nodding my head and taking mental notes at times. More than that, though, it was a charming, wholesome story about Betsy herself and her changing perspective. It was so satisfying to see her growing and thriving, as she rose to meet the demands placed upon her. 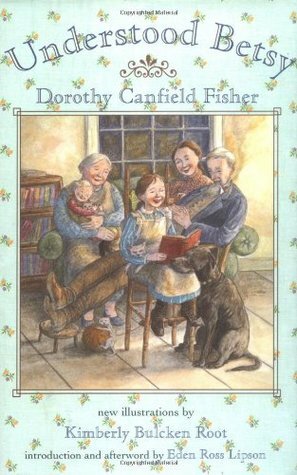 I also loved the side story about Betsy's rescue of her little friend who needed a family to take care of her, and the grownups' easy acceptance of another child in the home. 4 stars: A child's dream--finding a little place of their own and setting up house. 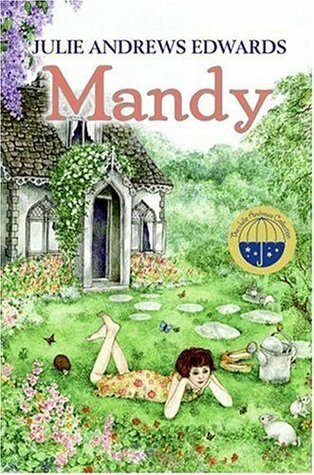 Mandy is an orphan girl who fiercely longs for a home and a family. One day she climbs over the wall of the orphanage to explore and happens upon a tiny little abandoned cottage surrounded by a sadly neglected garden. She immediately decides to fix things up and have this as her secret place--a safe haven that she can fix up just the way she want it. As she carries out her plans, she learns some important lessons about honesty and friendship. It's not until a dark and stormy night, however, that she begins the next phase of her journey to find a family to belong to forever. A sweet, old-fashioned story. I need to read this with my daughter. I think she would love it! I remember playing "house" as a kid, and imagining these types of things. Well, this is the game of "house" come to life! A house just the right size for one little girl to clean and furnish and make her own--even with very limited resources. Then an ending that brings Mandy the fulfillment of hoped-for dreams. Recommended for fans of The Secret Garden. Ruthie lives in Chicago, just waiting for something interesting to happen in her life. She never suspects a 6th-grade class trip to the Chicago Art Institute will be the catalyst for that something to begin. She and her best friend Jack discover a magical key to the Thorne rooms--an exhibit of 68 different miniature rooms, each from a different time period in history. 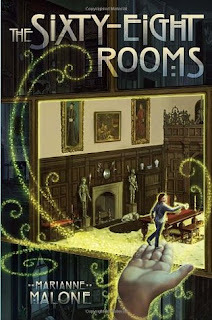 The key actually shrinks Ruthie down to 5-inches tall--just the right height to explore the enthralling rooms. Before long, she figures out how to shrink Jack down with her, and the two of them have the adventures of a lifetime. After all, it's not just the rooms that are a bit magical--the world outside the windows of the rooms are real and alive as well! I wanted to like this a lot more than I did. So many elements with great potential! Unfortunately, it was hard to get past the writing style to enjoy the plot. Many, many, times, the author just stated how the characters were feeling or what motivated them, rather than naturally allowing the action of the story to show it. There was an attention to detail in describing the rooms that was a bit distracting at times. In addition, every potential conflict in the plot was easily resolved with a minimum of effort. Too bad--it could have been great! 4 stars: An action-packed mystery involving an resourceful girl with nothing to lose, some rather nasty villains, buried treasure, and an alligator named Green Alice. Abbey Force's life turned upside down about 9 months ago, and nothing has put it right since. Her dad was accused of a terrible crime, but has been in a coma and unable to explain or defend himself ever since being found at the crime scene. As a result, the family plantation has been sold to strangers to pay off the debt, Abbey has been sent to live with her hateful Aunt and Uncle, and a cloud of shame and taunting seems to follow Abbey wherever she goes. The thing is, she knows that her Dad would never have done what everybody says he did. She also knows he's going to wake up someday soon and put everything right. The only problem is, things have started to go more and more wrong and he still hasn't woken up yet. It looks like it's going to be up to Abbey herself to get to the bottom of what really happened 9 months ago, along with her new best friend Bee Force (no blood relation) who moved into the Plantation with her grandma. Abbey was a likeable character from the beginning, when she stood up to a bully in defense of a younger, smaller boy. She was tough, smart, and mouthy. However, it was her ability to make friends and do the right thing that made the difference for her in the end. The adults in this novel were either good or bad. The bad ones might be a bit terrifying for some sensitive or younger readers. Abbey and Bee were kidnapped and nearly killed, chased, threatened, and smacked around a bit. So keep that in mind when deciding what age to hand this one to. I would recommend it for ages 10+. The Kindle edition of this one is only $3.99 right now! 3.5 stars: A school for budding detectives and a mystery that hits close to home. Rollie has always been interested in solving mysteries, particularly the way his hero Sherlock Holmes did it--with logical deductive reasoning and minute attention to detail. 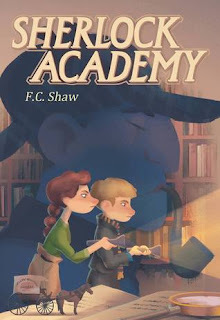 When he receives a mysterious letter inviting him to attend the Sherlock Academy, a private school for learning to be a detective, he can hardly believe his luck! Even better is that his best friend Cecily received a letter as well. They will board at school during the week and return home on weekends. The school is just as mysterious and intriguing as they could have hoped. What they didn't expect, though, was to be in the middle of a real mystery soon after starting there. An important object has been stolen from Rollie, and in the wrong hands it could lead to all kinds of problems. Rollie is determined to follow every lead, even if it points to a suspect he doesn't want to believe could have committed the crime. His training has begun! Echoes of Harry Potter in the beginning, with the letter and Rollie's boisterous family--reminiscent of the Weasleys. Creative world building--I particularly liked the different ways each teacher at the Academy did roll call, and the Rearranging Library. The plot was a bit predictable, but an enjoyable ride nonetheless. Kindle edition on sale for just $2.99! What types books do you read when you need a break? Have you or your kids read any of these?